Imprint Area: 1-1/4" x 5/8"
Customized Arctic Fox Marketing Pen (Item #HUB-395) is Screen Printing with your company logo and with no setup fees. Advertise your company with our Customized Plastic Retractable Pens as your next advertising handout. Pen writes in Black Ink. This Item Qualifies for Free UPS/FEDEX Ground Shipping. 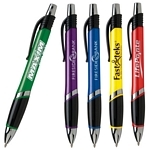 Customized Mardi Gras Pen (Item #HUB-411) is Screen Printing with your company logo and with no setup fees. Advertise your company with our Customized Plastic Retractable Pens as your next advertising handout. Pen writes in Black or Blue Ink. 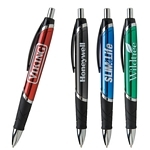 Customized Samba Customized Pen (Item #HUB-408) is Screen Printing with your company logo and with no setup fees. 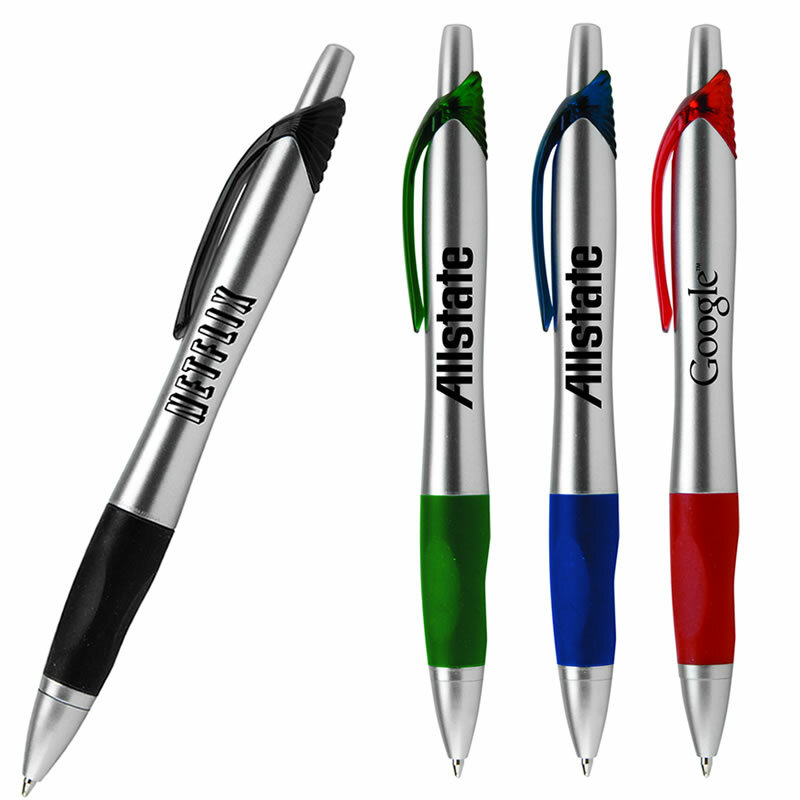 Advertise your company with our Customized Plastic Retractable Pens as your next advertising handout. Pen writes in Blue Ink. 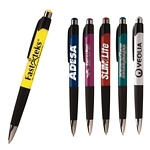 Customized Dakota Advertising Pen (Item #HUB-399) is Screen Printing with your company logo and with no setup fees. Advertise your company with our Customized Plastic Jumbo Pens as your next advertising handout. Pen writes in Black Ink. 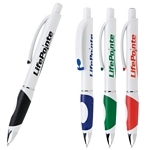 Customized Blanco Advertising Pen (Item #HUB-398) is Screen Printing with your company logo and with no setup fees. Advertise your company with our Customized Plastic Retractable Pens as your next advertising handout. Pen writes in Black Ink.